Welcome to the MineralTree SilverGuard™ Protection Program Through the North American Data Security RPG. This site is your resource for an overview of MineralTree's SilverGuard Program (the "Program") issued to the risk purchasing group North American Data Security RPG and supplies education and awareness of cybercrime risk. The best way to protect your business bank accounts from electronic funds theft is to stay informed, so we are happy you are here. Unlike individual bank accounts, business bank accounts are not protected under Regulation E, a law that provides governmental protection for online losses. In the event of unauthorized access that results in you losing funds, your business - not the bank - is liable for the losses. In a recent study, approximately 70% of businesses that suffered online fraud losses were not fully reimbursed by their financial institution. According to the FBI, business bank accounts are now the target of choice for online hackers because they typically carry large balances. Anti-virus software stops less than 30% of known malware, and provides no reimbursement to your business for online fraud losses. MineralTree's SilverGuard Protection Program is a new and unique offering that provides reimbursement for losses resulting from unauthorized access of your online business bank account. Protection against the theft of funds from business bank accounts in the event of unauthorized access to the MineralTree Secure Business Pay solution*. To qualify, customers must enable either the two-factor-authentication feature for login or the two-factor-verification feature for payment approval. Educational resources on cybercrime, online account takeover, and other security topics are provided periodically to raise awareness and present the latest findings in data security. Protection up to an annual maximum of $100,000 per customer. *Payments processed outside the MineralTree Secure Business Pay solution are not eligible for protection or reimbursement under this program. Why do companies need this Program? If a company's bank account suffers a loss from fraudulent account take-over, the business is responsible for any losses – potentially thousands of dollars - incurred as a result of the unauthorized access. The Program provides peace of mind by reducing the risk of fraud from online account takeover. Do I have to install secure access software to be protected under the Program? No. Simply use the MineralTree Secure Business Payment software and enable either the two-factor-authentication feature for login, or the two-factor-verification feature for payment approval. You must enable at least one of these features to be protected under the Program. If an account holder has multiple online business bank accounts, is each account protected for $100,000? The Program provides protection for all online business bank accounts providing an annual aggregate reimbursement for losses of up to $100,000 across all online accounts. If a business customer follows safe online practices, does it still need to be in the Program? Yes! Customer adoption of bank controls and security-conscious online activity is not a fail-safe against online account takeover. Are employee theft and the physical theft of cash protected under the Program? No. 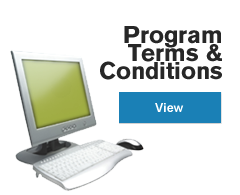 This program does not provide any protection for fraudulent activities on computer networks outside the care, custody and control of the business, nor does the Program provide any protection against any fraudulent activity committed by any owner, officer, director, employee or contractor of the business. How is an incident reported for the program? To report an incident, simply: 1) complete the online incident form and (2) submit it via the web or fax. To submit additional expenses on an open incident simply: (1) enter your incident number in the online incident form and (2) submit it via the web or fax. If an account holder does suffer a loss, how quickly will the incident be processed? Quickly! Once the relevant documentation is provided, the requests for payments will be processed. Assuming that the documentation is in order, the request should be processed within thirty days. Doesn’t the Federal Government’s Regulation E provide some level of protection against fraud committed against my bank accounts? No. Regulation E protection against electronic on-line fraud losses is limited solely to the protection of consumer bank accounts. Regulation E does not explicitly protect business online bank accounts against fraud losses. Please fill out the form below with any questions you may have regarding the protection provided with the program. Validate that your business account(s) is protected. Print out evidence that your business is protected with EFTGuard by entering your customer number below. The SilverGuard Protection Program has assembled the best in class team of professionals. MineralTree’s Secure Business Pay lets businesses stop using checks by simplifying and automating the AP process. Our solution provides a simple, streamlined approach that brings a new level of security, efficiency, and convenience to business payments and cash management. More than that, we are a forward thinking group of people committed to creating secure, elegant, and innovative solutions for long-standing problems in banking and financial services. Unlike other services, MineralTree works directly with banks and does not disintermediate them from the payments process, ensuring ultimate security every step of the way. Net Reaction is an internationally recognized forensic investigation and information security planning firm. Net Reaction is committed to helping its clients navigate complex issues and make better decisions regarding their unique risks. RGS Limited, LLC is the administrator for the North American Data Security RPG. RGS Limited, LLC has forged strategic partnerships with some of the most respected industry leaders, including Fortune 100 banks, community banks, payment processors, network security companies, hardware and software suppliers, insurance companies and third party service providers to the healthcare industry.